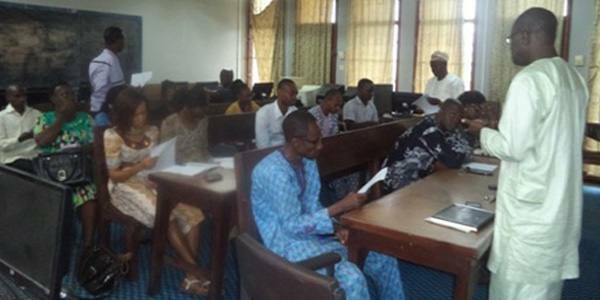 An international research consortium (MICROVEG PROJECT-107983) gives financial supports to sixteen postgraduate students in the Obafemi Awolowo University, as part of its capacity building programmes. These students comprising of ten (10) Masters of Philosophy (M. Phil.) and six (6) Doctors of Philosophy (Ph. D.) from three faculties in the University namely: Agriculture, Social Sciences and Technology. The support will cover tuition fees and monthly allowance throughout their period of studies. While addressing the concern students, Prof. Duro Oyedele who is the Principal Investigator (PI) for the project in OAU encouraged them to use the opportunities to help themselves academically and promote the University through their researches by proffering recommendations that will alleviate food instability in southwestern Nigeria and the country as a whole. One of the beneficiaries Mr. Olarenrewaju Babatunde, appreciated the Scientists for giving them the supports and promised that they will lift up to expectations. In addition, the project team in OAU has started field trials on improved farming practices to develop best field practices on fertilizer micro-dosing and rain water harvesting techniques that are expected to yield good results by enhancing degraded soil. The recommended farming techniques are expected to be disseminated through demonstration trials, outreach efforts and trainings among others. This project is part of an effort to scale up the most promising research supported under IDRC-Canadian International Food Security Research Fund (CIFSRF). This is a programme of IDRC, Canada undertaking with financial support of the government of Canadian provided through Foreign Affairs, Trade and Development, Canada. The Fund supports research to increase food security in developing countries by fostering collaboration between developing-countries researchers and Canadian experts.